The early native American Caddo established a trail from the Red River in Louisiana, as far west as the Pecos River to trade with the Jumano who inhabited West Texas. The trail later evolved into main route from the river port in Shreveport to North Texas. Now, historical societies in North Texas are working to research and preserve this historic road. In Van Zandt County, the work has been done by The Old Dallas – Shreveport Preservation Association, established in 1993, whose committees are also members of the county historical societies. Being the most advanced in the effort among other counties, the committee has put up road signs and historical markers along the path, enabling people to do a self-guided tour and discover at least 300 years of history along the 35-mile section of this county’s historical route. 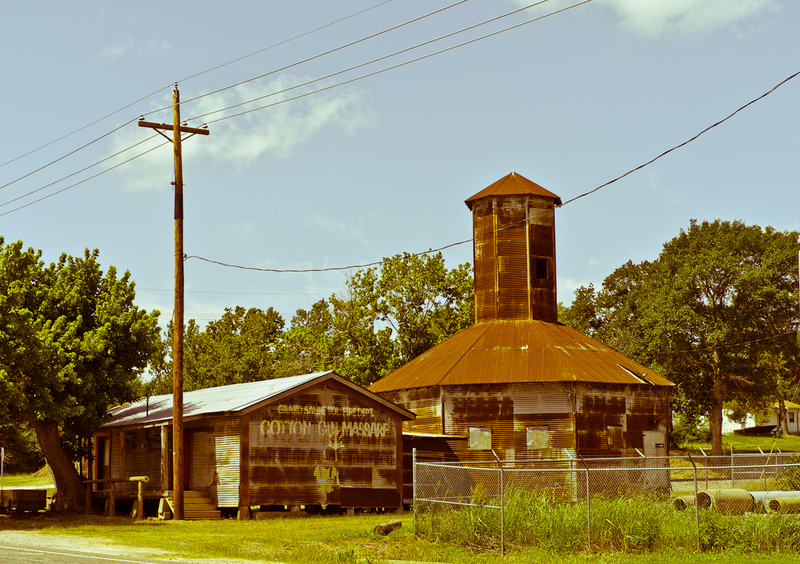 The Old Dallas-Shreveport Road’s existence shaped the towns and communities in northeast Texas. The Texas and Pacific Railway was laid parallel to the Old Dallas-Shreveport Road about a mile northward in 1873. US Highway 80 was established later. It is also laid parallel to the historic road and was initially known as the “Dixie Overland Trail” in 1914. Its name became TX15 in 1919 and later US80 in 1926. The arrival of the railway and US80 ended the era of the Old Dallas-Shreveport Road as a major thoroughfare. See the history timeline of the old road at the end of this article. Tour this historical parkway eastward point by point from Wills Point to Sand Flat in Van Zandt County, Texas. 1. The tour starts at the junction of HWY64 and CR3415 in Wills Point, just south of US80. The founders of Wills Point first settled here in 1847 and the County Seat War took place in 1877 along this part of the Dallas-Shreveport Road. 2. About 4 miles from Point 1 – New Hope Cemetery. A veteran of the Texas war for independence from Mexico, set aside some acres to encourage settlement around 1871. He and four confederate soldiers are among those who were buried here. 3. FM1504 and CR3215. A cotton gin is believed to have been located near this crossroads. About 450 yards from the intersection, where the road bends right, a freight company stop used to operate in the mid 1800’s. 4. From CR3215 to CR3216, 300 yards on left. Slaughter School, built in 1888, fulfilled the need for a school due to the population growth along the road. It was later consolidated with the Edgewood school district. Go back to CR3215. 5. Barren Ridge. Continue to CR3218, cross FM859 to CR3118, turn right to CR3105, pass CR3109. This is where the Black Land Prairie meets the Post Oak Savannah, thus name ‘Edgewood’. Barren Ridge used to be a savannah. The cultivation brought by the settlers is the reason why the trees are there now. A post office and stage stop was once located here from 1850 to 1857. The citizens of Canton once traveled 8 miles here for their mail. Between 5-6. Continue through a grove where the canopy of trees thickens. Sunken trails on either side of the road were the original Dallas-Shreveport road bed. From an unguarded wooden bridge, the steep Crooked Creek’s bank is noticeable. Where the road bends right, the original trail bends away into private lands towards Point 7. 6. A mile from the bridge, stands a tree that grows almost in the middle of the road. Back in the 1800’s, surveyors often used a tree on the land they surveyed as the benchmark, and called this tree the witness tree. This is one of them. 7. To TX19 and go north. The location of Point 7 is on private property, approximately across CR3108, on right. 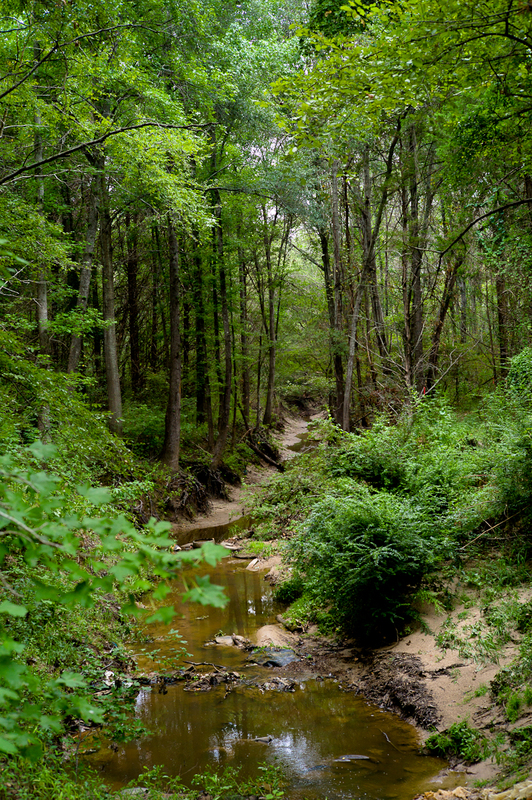 It’s a crossing with deep vertical banks near Mill Creek, and is part of the old Caddo trail. The early pioneers who traveled this road called it Devil’s Gap due to raids by Kiowa and other native American tribes who used this part of the trail as an attack point. Stop at the Mill Creek bridge (past Point 8), to visualize the condition. 8. From TX19 turn right to CR1117. About 0.5 miles down the road, on the left across from a private mailbox, there’s a steel sign post, where Father Jose Calahorra Historical Marker once was. The marker was stolen after its dedication in 2009. It is such a shame, considering that it’s the oldest historical facts found so far related to this part of the road. This is where the Caddo trail intersected Tawakoni trail that went from the Sabine River in the north to Nacogdoches in the south. 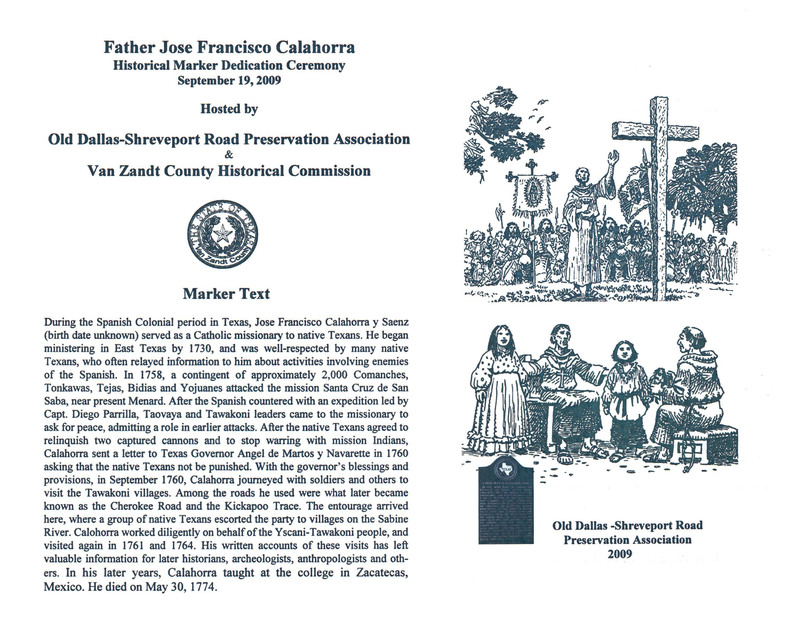 The entourage of Father Jose Calahorra, a well-respected Spanish missionary in Texas, was greeted here and then escorted by the Tawakoni to their village on the Sabine River in 1760, 1761, and 1764. 9. Cherokee Survey Line, dated 1841, crosses the CR1117 1 mile down the road from Point 8. 10. About 4.5 miles from Point 8, on CR1817, on left. An effort to colonize an area of North Central Texas and settle 500 families in 5 years was led by Charles Mercer in 1844. The boundaries were Palestine and Waco on the south, the Brazos River on the west, McKinney area on the north, and this point on the east. Descendants of Mercer’s colony settlers still reside in Texas. 11. Turn right to CR1818. The marker is in the Creagleville Cemetery. The Dallas-Shreveport Road went through Creagleville, a community named after Henry Creagle, a German native who settled in Van Zandt County in 1847.The agricultural community once had a school, church, cotton gin, gristmill, and cemetery. Only the cemetery remains today. 12. Straight ahead to CR1820, to the intersection with CR1824, on left. During the Civil War, people from the southeast fled west and formed a community here around 1863, on land where the property owners were away at war. Poles were used to build homes, thus Poletown. After the war, arrangements were made for them to purchase land or become tenant farmers. Jacob C. Rhodes’ land in Poletown was designated as a new town, Rhodesburg, in 1895. Rhodes was a member of the Populist Party, who then changed to and organized the Socialist Party of Texas. For over a decade the town accommodated the Socialist Party’s movement. 13. Continue to CR1823/W Patterson St. Take a glance at Morton Salt Company Lake, on right, a private man-made lake built by B.W. Carrington & Company in 1911 for the salt plant use. 14. Continue east on Hwy17 to the meeting point with Hwy110. The original road goes straight through private lands and picks up again at Point 18.Take left on Hwy110/FM17. An old cotton gin sits on the left. Continue through historic downtown Grand Saline to the intersection with US80. 15. Across the junction of Hwy110/FM17 and US80, on left – The Salt Palace is a tiny building made of pure salt that has been rebuilt three times since its debut in 1936 due to deterioration caused by weather. Inside, it exhibits the salt industry and history of Grand Saline. Wiley H. Post, one of world’s greatest pioneer aviators who is a native son of Van Zandt County, is also remembered here. 16. Continue 0.5 mile east on US80, take right to FM857. Kleer Park is located on the left. During the Civil War, the demand for salt increased significantly to preserve food and hides. Salt workers were exempted from army service. The salt mine in Grand Saline was once named Kleer Mine. It was operated by the Confederacy during the war. 17. Salt Flat, Marsh, and Birds Sanctuary on FM857, by the first concrete bridge. Take a peek at the white surface of one of the largest and purest salt domes in the country. Its depth is unknown and its supply of the valuable mineral is estimated to last 20,000 years. The Cherokee were the first to obtain salt from here in the early 1800’s. It is now designated as a bird sanctuary. 18. Jordan’s Saline and the site of the first courthouse, by the second bridge, across CR1701. It’s the oldest community in Van Zandt County, established by John Jordan in 1844, even before the county was formed in 1848. It was once the County Seat before being moved to Canton in 1850. By 1860 it had a thriving salt industry. The community diminished after the railroad arrived in 1873 and the townsite was relocated one mile north and named Grand Saline. 19. Continue 2.8 miles, to the junction of FM1255 (Crockett’s Bluff Road) and FM857, on Sand Flat Cemetery property. It’s a small community that sprung up along the historic road in the 1850’s. It was first known as Chrestman, then Sand Flat, and later “Fulton” when a post office was in operation from 1900-1905. The community retained the name Sand Flat. 20. Continue on FM 857 to Providence, another community that grew along the road in the 1850’s. It’s the eastern end of the historic parkway in Van Zandt County. Providence Cemetery, established in 1873, is just past the Smith County line. Spanish explorer, Pedro Vial may have used part of this road in 1788. End of the tour. Continue to the intersection with FM1253, go north 3.4 miles to get to US80. At the junction of HWY64 and CR3415 in Wills Point, south of US80. Will’s Cabin where The founders of Wills Point first settled here.